New emoji in iOS 10 and macOS Sierra include more gender-specific options, as well as a redesign of the pistol emoji. What's next? Apple’s support for emoji across its platforms has been strong for a while now, and with the arrival of the most recent iOS 10 and macOS Sierra betas, we’ve gotten our first look at new symbols that everyone will have as options to use when the new versions of both operating systems ship this fall. While emoji are a standard–a subcommittee of the Unicode consortium decides on the specification–they’re not as standardized as you’d think. Most amazingly, there’s no standard emoji imagery. Every platform vendor–operating-system manufacturers like Apple, Microsoft, and Google, but also web companies like Twitter and Facebook–has to commission its own illustrations of the emoji symbology. That quirk came into view in the past couple of weeks, as Microsoft updated Windows emoji to turn their representation of the pistol emoji from a ray-gun into a more traditional police pistol, in line with all the other platforms… until days later, when the iOS and macOS betas turned Apple’s representation of a pistol emoji from a traditional gun into a green squirt gun. 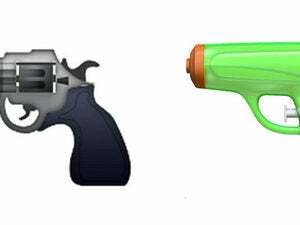 The pistol emoji gets a new look in iOS 10. The complexity of emoji goes beyond art direction, however. The emoji symbology is more than just a series of individual icons–it’s a complex set of symbols that can be joined to one another in different ways with different effects. Emoji uses an invisible character called a Zero Width Joiner (ZWJ) to connect multiple icons together. There are millions of combinations, and every platform owner has to decide which ones it wants to support–while also being aware of interoperability with people on other platforms. Take the new emoji appearing in the iOS and macOS betas. 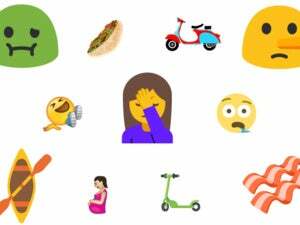 There are many new gender-flipped options for emoji: women can now text a gender-specific cyclist, bowler, police officer, or runner, and men can represent themselves with a man raising one hand or getting a haircut. These new emoji required Apple to commission new artwork, but Apple didn’t have to wait around for the emoji consortium to designate new symbols. Instead, the emoji for a female runner is simply the runner emoji, a ZWJ, and the female symbol. Microsoft used this approach to create more than 52,000 new emoji in its recent Windows 10 update, allowing people to create one- and two-parent families, with one or two children or babies, and of any combination of races. Some emoji in iOS 10 got new gender and racial options, or just a new level of polish. There are a lot of possibilities here. A few weeks ago I was musing about what would happen if you joined the ghost emoji with the No Entry emoji. The answer, for some logical trademark-based reasons, is nothing–but wouldn’t it have been great if it had generated a Ghostbusters logo instead? Microsoft has joined the cat and silhouette emoji to create its own Ninja Cat emoji. I imagine that someday, some brave soul will join the cat with the taco to create a tacocat. 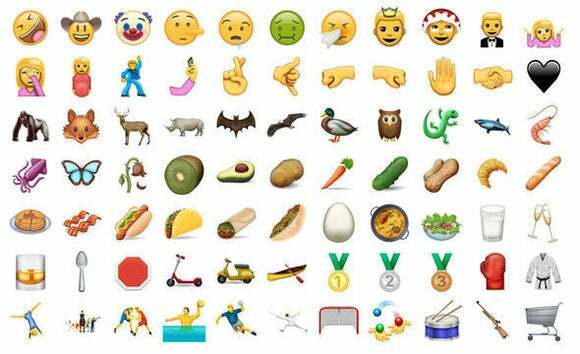 In addition to new emoji, iOS 10 will provide numerous ways for users to use emoji. Yes, Messages will let you auto-replace words with emoji. But more broadly, the QuickType strip at the top of the iOS keyboard will automatically suggest appropriate emoji characters. When I type Germany, for example, iOS 10 will suggest the German flag, and if I tap the suggestion, it will replace the word with the emoji. More new emoji from Unicode 9.0—just don't expect them to look exactly like this in macOS Sierra or iOS 10. It’s not quite as good as being able to search for relevant emoji while you’re typing, as you can using Slack, but it’s a systemwide feature, so it will still have a big impact. macOS Sierra shows fewer signs of major upgrades on the emoji front, beyond supporting the same symbols as iOS 10. But macOS already has a pretty great emoji picker: type Command-Control-space and a floating palette will appear, letting you pick emoji and even type in a search box to find just the symbol you want. In any event, fans of emoji rejoice: iOS 10 is going to bring you more of them, and more ways to use them. 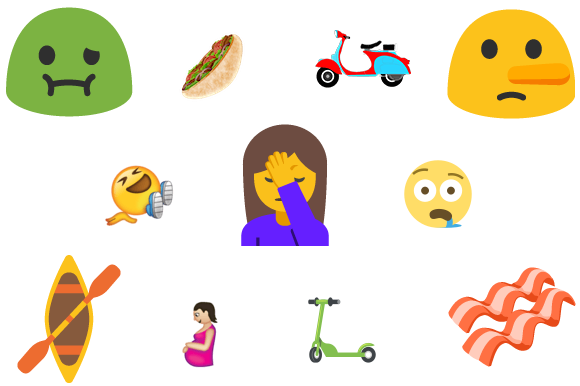 And with Microsoft dumping 52,000 different variations into Windows 10, perhaps an emoji arms race is beginning? The more emoji the better, I say.